With gas prices climbing, more people are taking the train. Nationwide, the number of people who rode Amtrak between October and March climbed nearly 4 percent compared to the same period last year, and that’s good news for Vermont rail lines as well. Ridership on Amtraks’ Ethan Allen Express, which runs between Rutland and New York City, jumped 9 percent while passengers on the nearby Adirondack, between New York and Montreal, grew by 5.5 percent. "Clearly, there’s a definite link between gas prices and ridership and if you look back in Amtrak’s history, every time gas prices have gone up so has ridership," says Christopher Parker, Executive Director of Vermont Rail Action Network. Results have been mixed for the Vermonter, which runs between Washington, D.C. and St. Albans. Ridership on that route dropped 12 percent in the last six months. But Parker says that’s because construction was going on last summer that disrupted service. According to the Vermont Agency of Transportation, all of the upgrades in Vermont will be finished by December. Meanwhile, Parker says passengers are already enjoying smoother rides, shorter travel times and better performance. 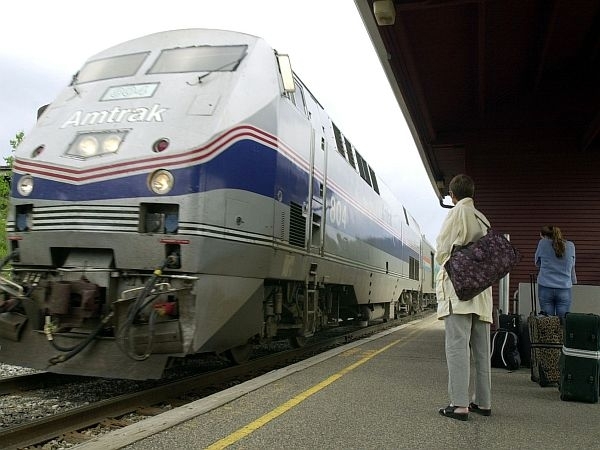 As a matter of fact, Amtrak announced that the Vermonter had on-time arrivals and departures 100 percent of the time in February and March. That’s impressive Parker says, because nationwide, Amtrak’s on time rate is just 85 percent. "When you consider the variables that can take place between Washington, D.C. and St. Albans – all the other trains that it has to pass with to come in at a figure that good is just a reflection of a good team performance." Just to be clear, for a long distance route like the Vermonter, Amtrak factors in a 30-minute window of wiggle room for what’s considered on-time. The Vermonter’s improved performance has not come cheaply. When all construction on the route is finished, Massachusetts and Vermont will spend about $120 million in federal funding to upgrade and reroute tracks and replace aging infrastructure. While that’s good news for passenger service, officials at the Vermont Agency of Transportation say it will also significantly improve and expand the capacity for freight trains. A big increase in gasoline prices over the past month could force legislative leaders to scale back their plan to raise the state gas tax to help repair roads and bridges. This week, volunteers marked Martin Luther King Day by doing community service, the state said detecting future leaks at Vermont Yankee may be compromised, committees looked into high gasoline prices, Legislators were introduced to the Health care Exchange software and Vermonters hit the ice for some pond hockey.